Location: South, appr. 110 km east of Reykjavik. 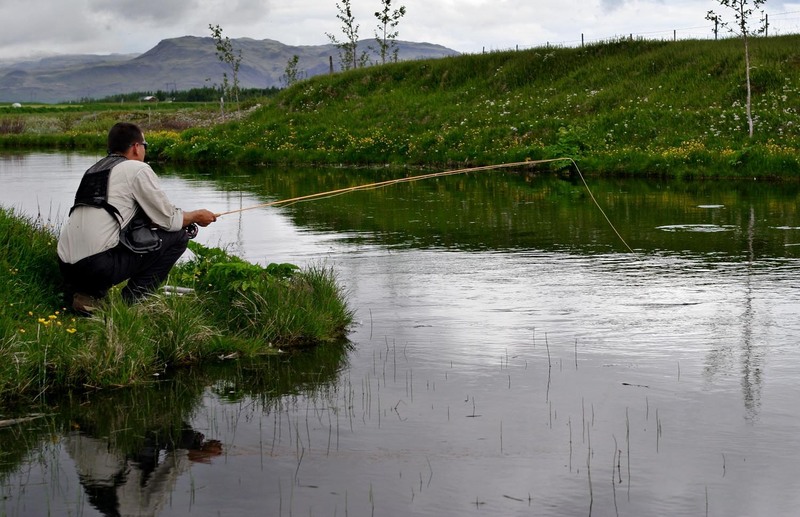 This smallish, gin clear south Iceland inland 4 rod stream has been hailed as one of the best kept secrets in global angling. It is a technical river where stealth, among other attributes, is needed. The quarry is native brown trout. Wild native trout, remnants of the old Ice age stocks that stayed on when the glaciers retreated. Real dinosaurs, relics from times past. They are on average 3-4 pounds, with the monsters ranging to 20 pounds. Every season several of 10 pounds and over are caught, plus many in the 5 to 9 pound class. 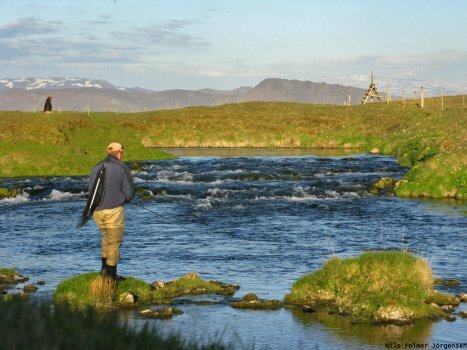 Minnivallalaekur are ideally suited for upstream nymphing, dry fly fishing as well as fishing with streamers. The season starts at the beginning of April, often in sub-zero temperatures, and it fishes to the end of September. 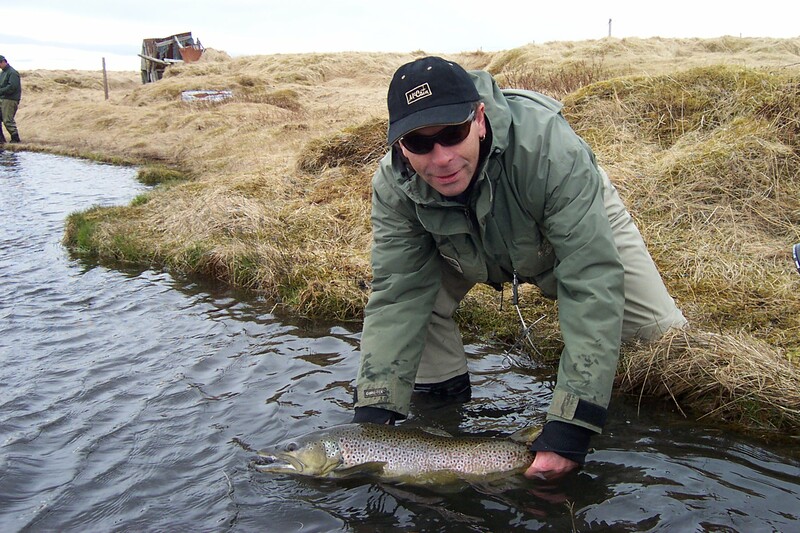 Spring is most popular with the local clientele, when fishing with streamers and weighted nymphs is most effective. 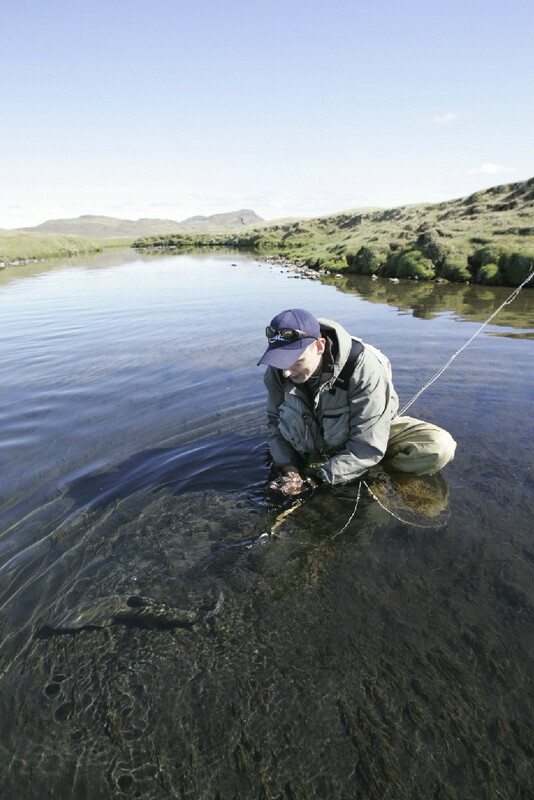 Later, in June, July and August, foreign groups fish the river, using delicate dry fly equipment. Late in the season there are usually few rods fishing the river. It is an underrated time of the season as the browns tend to get very aggressive as the spawning period looms ever closer. In essence the Minni is a midge fishery but strong hatches of caddis are also in the river. Turn over one of the black lava rocks in the river and see the size and quantity of cased caddis. The river is fished with single handed rods and the line weight and size and weight of leader depend on weather conditions. As mentioned this is a very technical river but the rewards are amazing. 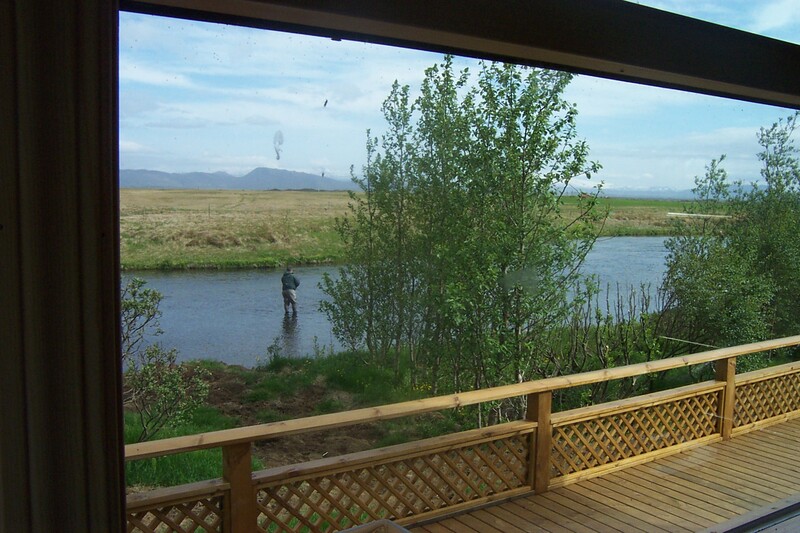 Minnivallalækur, or “Minni” as it is often called, has a wonderfully placed self-catering lodge overlooking one of the best pools – Húsabreiða. Full service can be arranged upon request. 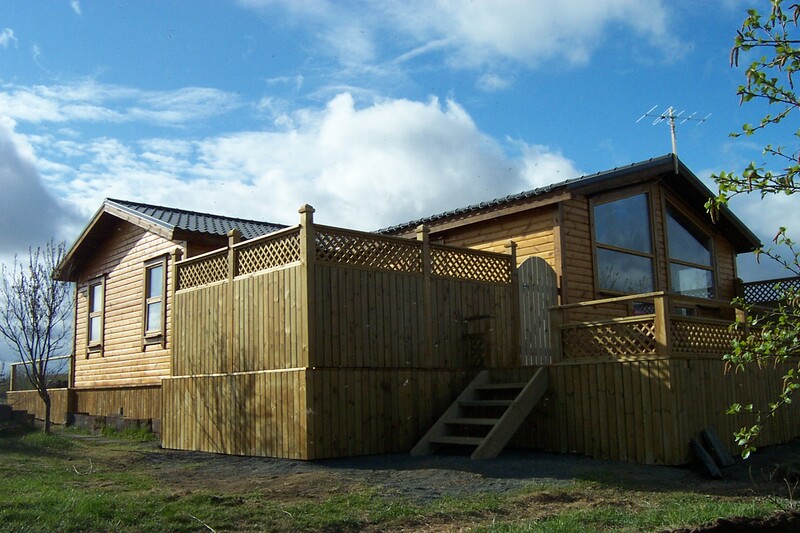 The river has four daily rods and the lodge accordingly has four double rooms, plus a hot tub on the veranda. The lodge is set in a small birch plantation and has a commanding view of the world famous volcano Mt. Hekla. Needless to say, in order to maintain this special stock of trout Minni is a catch-and-release fishery. 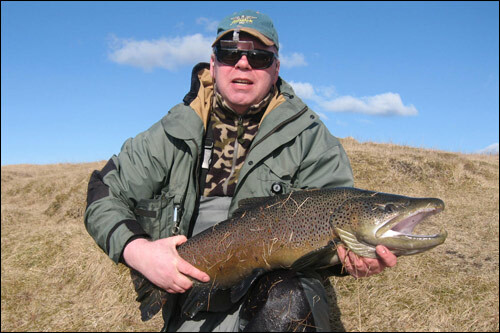 Last season was quite good on the Minni, although a very cold spring held the early spring fishing back. 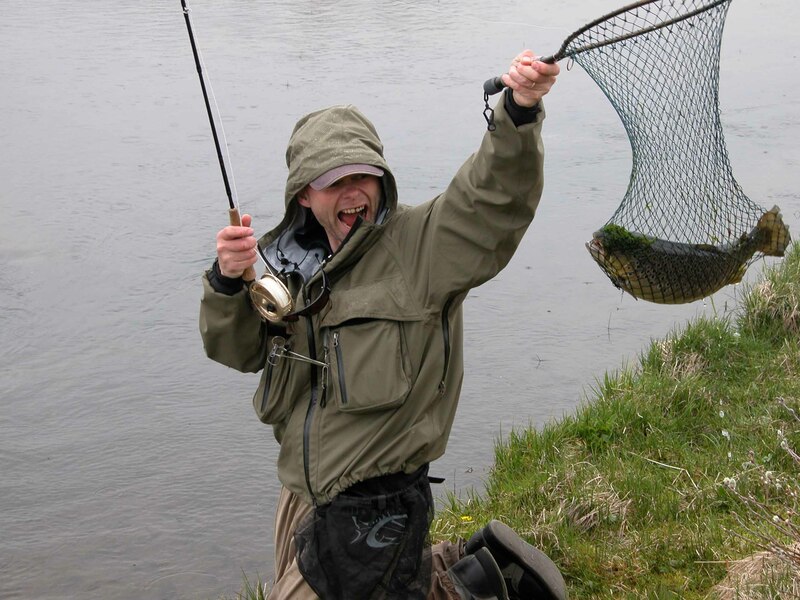 It hardly heated up until June and from then on the fishing was great, with many „big ones“ in the catch. Nearly 300 browns were reported in the catch book.